Plymouth, MA. 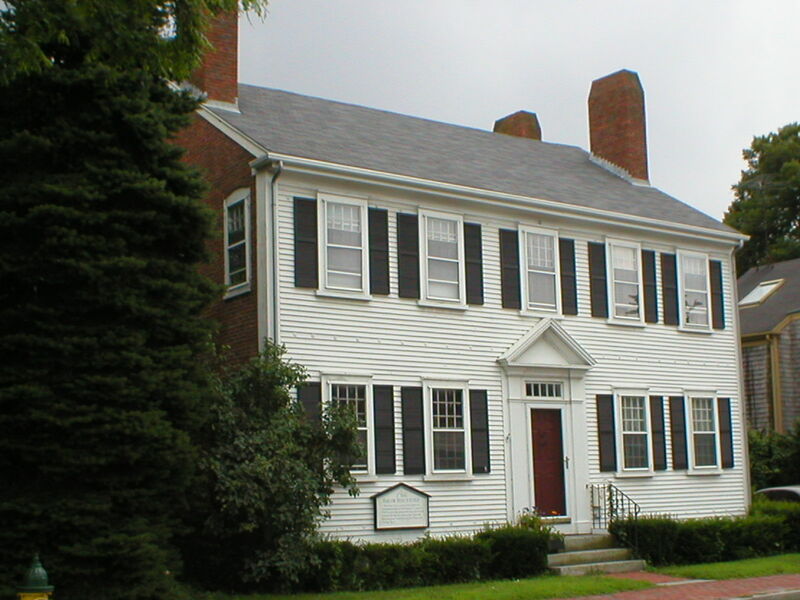 Harlow Bishop House, c.1766. 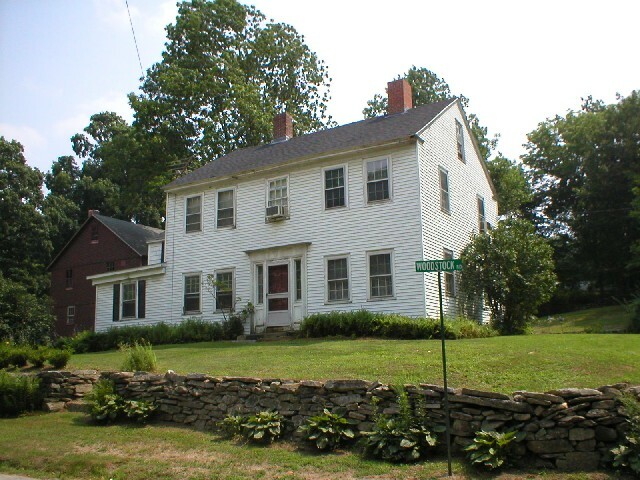 Georgian four-over-four with double end chimneys, double-hung sash windows, side-gable roof, classical (Greek) entryway. IDENTIFYING FEATURES: Renaissance-inspired classical symmetry, two rooms deep, two floors high (Four over Four plan), central or end chimneys, classical detailing, transom lights, pilasters (flat, attached columns) around door. Hipped roof (British Georgian), or side-gable roof (American Georgian). The “half Georgian” consisted of one “side” of a full Georgian, popular for row houses on urban lots. Single-story Georgians also exist, often referred to as “Capes” or “Cape Cods” from what I know. From my reading and observations, it is tricky to identify many buildings as either Georgian or Federal. Any structures on this page built after roughly 1780 with a Palladian window and/or elliptical fanlight over the door could also be considered Federal style. BACKGROUND AND INSPIRATION: Georgian is among the most long-lived styles of American building forms, still popular for new townhouses or suburban homes into the 21st century. 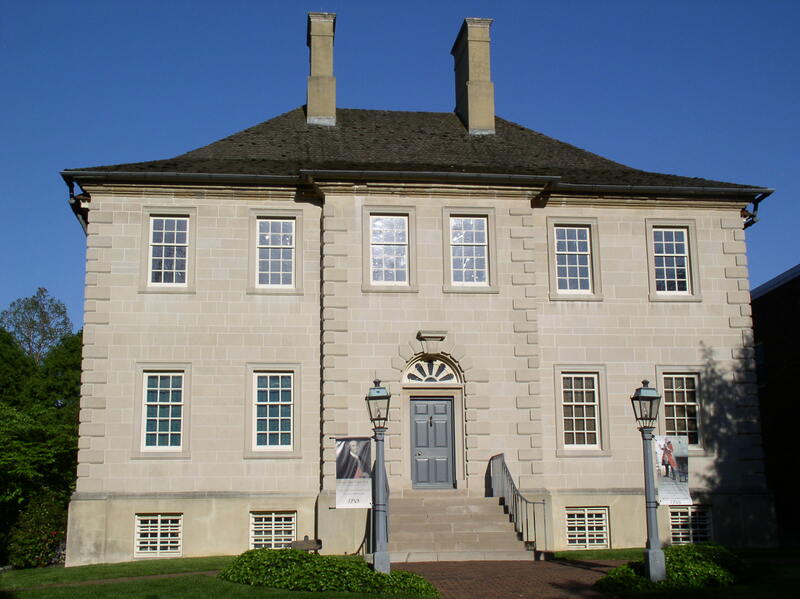 Named after King George III of England, the style was inspired primarily by two early high-style examples in colonial America: namely, the Wren Building, 1695, at the College of William and Mary; and the Virginia Governor’s Palace in Williamsburg, VA. The style reflected the order and symmetry of Renaissance ideals, made popular by architect Sir Christopher Wren in England after 1650. In the English colonies, style was beginning to matter by the late 1600s and the general level of prosperity was increasing. These factors led to the wide-scale adoption of the Georgian style from Maine to Georgia. Curiously, Pennsylvanians continued building Georgian row houses until the Civil War, while New Englanders had abandoned Georgian style mostly by 1800. Alexandria, VA. John Carlyle House, c. 1753. A high-style Georgian with hipped roof, eliptical fanlight over the door, and quoins on the corners (emphasized stones). 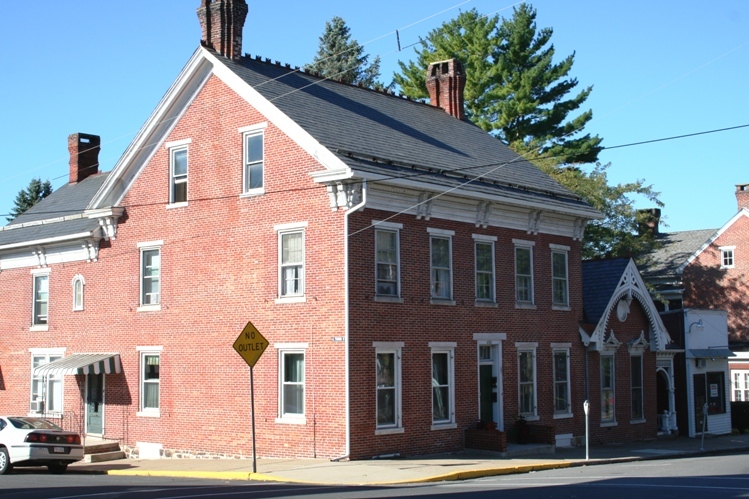 Mifflintown, PA. Full brick Georgian with minimalist classical detailing above the entry, an Italianate cornice, and a later Gothic-style addition to the right. Plymouth, MA. 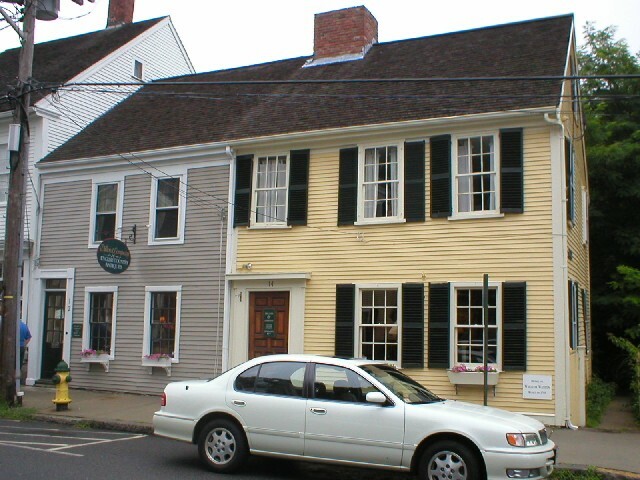 Home of William Weston, c.1755. Good example of a Half Georgian, sharing a wall with another small Georgian on the left. North Woodstock, CT. Georgian four-over-four with double chimneys, sash windows, side gable, and classical entryway. I’m going to recommend that all the Real Estate Agents I know check you’re site before they make the mistake of calling something a “Victorian Craftsman” or something like that! Thank you for this great resource. Amy, thanks for your feedback, and I’m glad it’s helpful. I enjoyed your walking tour of Kingston. I miss that part of the country! Thanks for the link on your blog. GeoDesign in the Curriculum About the emerging field of GeoDesign and its integration into NAU and other programs. Architectural Styles of America and Europe · An educational resource for topics of architectural styles, and related historic trends.